Benjamin Franklin said honesty is the best policy. Sadly, there are too many businesses who think that dishonesty is better and that it is legitimate to take advantage of the consumer at every opportunity the business can. Consumers fortunately have the protection of laws that protect them when businesses are not truthful. Competition benefits the consumer only when it is fair and every business obeys the law. At Paulson & Nace, PLLC, our family-owned and operated West Virginia law office knows the main laws that protect consumers from deceptive practices. This includes the Federal Trade Commission Act (FTCA) which prohibits “unfair or deceptive acts or practices in or affecting commerce.” Our attorneys fight to make sure consumers are protected, that businesses are held responsible, and that deceptive practices stop. Our lawyers know consumer protection law. At Paulson & Nace, our West Virginia consumer protection lawyers also represent consumers who are affected by unfair trade practices. Consumers rely on businesses to treat them fairly. When businesses cross the fairness line, patrons do have to the right to sue them for consumer wrongs. Our team brings individual or class action claims against businesses that engage in deceptive practices. These claims can include demands for monetary damages, statutory fines, attorney’s fees, and possibly punitive damages. If the business violated the FTCA, our lawyers assert those wrongs. The FTC has its own set of remedies. These include pursuing civil penalties and criminal charges against dishonest businesses. The FTC may also issue cease and desist orders against businesses that engage in improper business practices. The Paulson & Nace West Virginia law office makes sure the proper complaint is filed with the FTC. 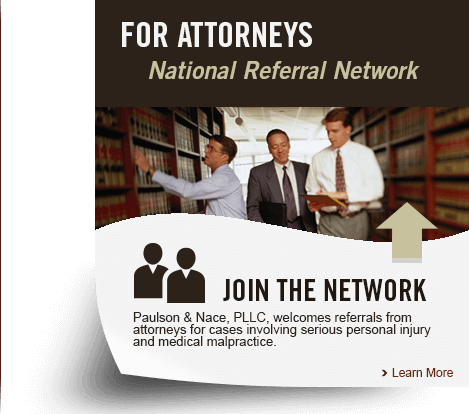 Paulson & Nace, PLLC’s family of consumer protection lawyers advise clients about what constitutes an unfair business practice, how the improper practice can be stopped, and what financial and statutory remedies are available. We know the consumer protection laws that help you or your business get justice for wrongful competition. To discover your rights and what remedies apply, please call our West Virginia office at 304-741-8079 or submit our online form. We are here to help you. Our office is located at 3501 Maccorkle Ave SE, Charleston, WV 25304.